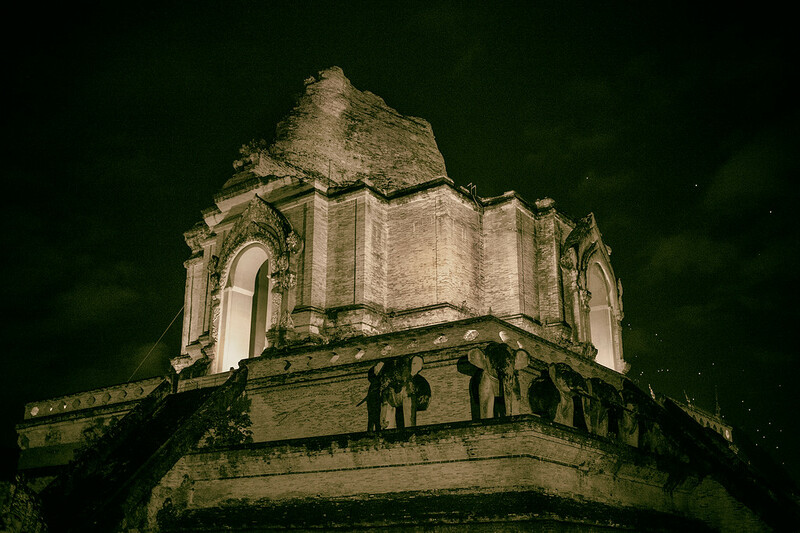 This is Wat Chedi Luang and it is located in the center of Chiang Mai's old city. Construction was started in the 14th century but the temple was not completed until the middle of the 15th century. By the time it was finished this was the tallest building in the Lanna kingdom. Today it is beautifully illuminated at night and, if you look carefully, you can see little points of light behind and to the right; those are hundreds of sky lanterns being released in the distance.